Rhino River Lodge is a family-owned and operated Big 5 safari lodge located in the magnificent Manyoni Private Game Reserve. 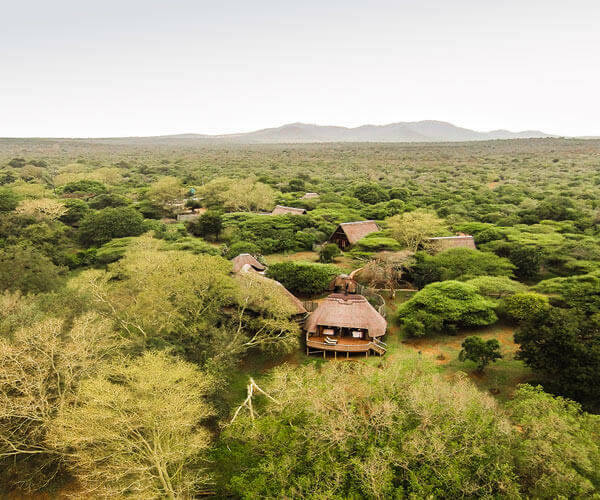 This 23,000-hectare private game reserve is situated in the very heart of Zululand, 30kms north of Hluhluwe-Imfolozi Park in KwaZulu Natal, South Africa. The area is renowned for its African wildlife and rich cultural heritage. Rhino River Lodge is a relaxed family-style safari lodge with a reputation for excellent customer service and superior value for money. Join us for our game drives, where you will be guided by a knowledgeable ranger in one of our open safari vehicles and have the chance to see the Big 5 and many other African animals, birds, and wildlife. Enjoy hearty South African cuisine highlighting local ingredients, served under the stars around a campfire. Indulge in a comfortable night’s sleep in one of our well-appointed rooms, chalets or private safari homes. Join us in experiencing South Africa at its best, amongst untamed nature and warm hospitality. 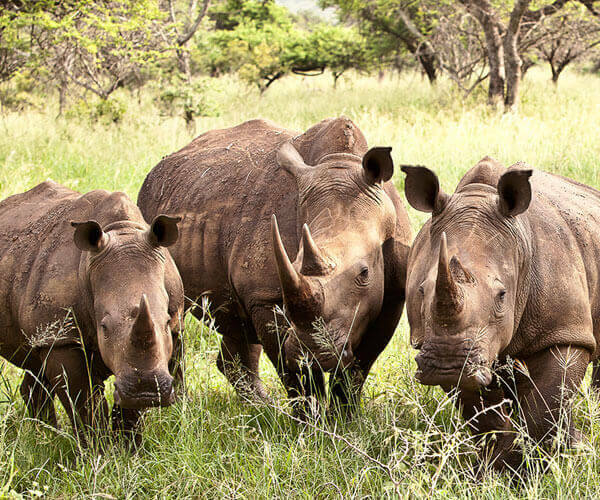 In 2004, 17 private properties in the northern Zululand area dropped their fences forming what is today known as Manyoni Private Game Reserve (formerly Zululand Rhino Reserve). The impetus for forming the reserve was to provide a home to a population of black rhinos as part of the WWF Black Rhino Range Expansion Project. 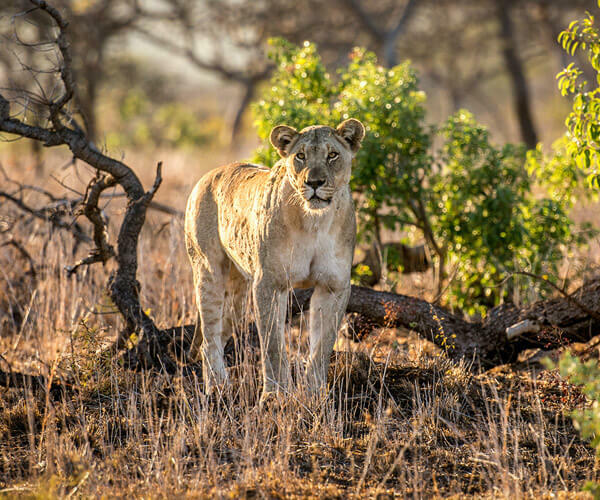 The joining of the properties created a 23,000 hectare private game reserve in one of the most animal-rich and species-diverse areas of South Africa. In addition to the black rhino, the reserve is now home to all of the Big 5 (rhino, elephant, buffalo, leopard and lion) and has seen the re-introduction of two endangered carnivore species, cheetah and African wild dog. We have become one of the premier wildlife-viewing destinations in Kwa-Zulu Natal and feature beautiful varied landscapes from acacia thornveld to open savannah to riverine forest. Game drives on the reserve are regulated by the reserve and coordinated by the ecotourism businesses to minimize the impact on the environment and the stress on the animals and to provide guests a better and more intimate game viewing experience.